In May 2018, we hope to welcome Seth Afedzi to Steep School. Seth is headteacher of Holy Spirit Anglican School in Foso, which has a link with Steep Primary School. 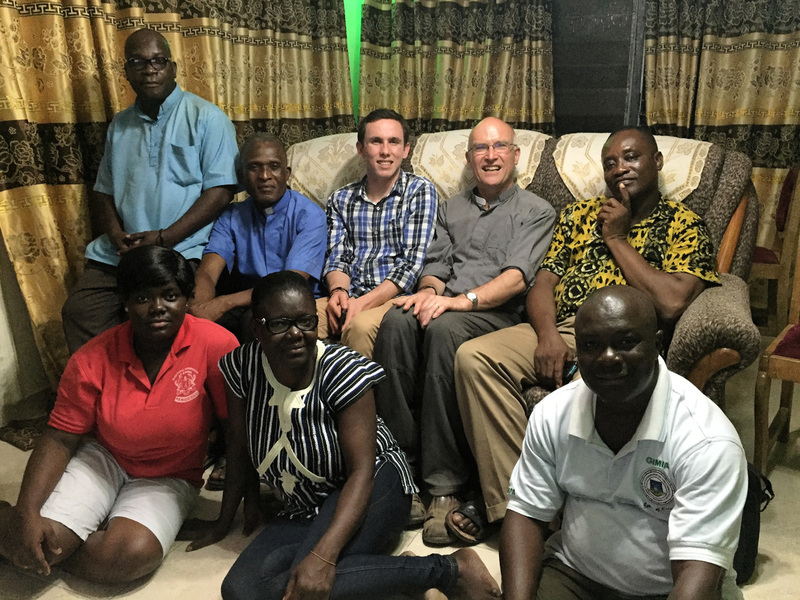 Two years ago, Zac Barr (then our youth worker) and John Owen (vicar) visited our linked parishes of Anomabo and Foso. Their costs were met by the generosity of parishioners. Anomabo is a coastal village, and is linked with Froxfield. It is not far from Cape Coast University in an area of great beauty. Foso is a much larger inland town with scattered mission areas around it, and is linked with Steep. School-to-school links between Froxfield Church of England Primary School and St Thomas Anglican School, Anomabo, together with Steep CE School and Holy Spirit School, Foso are active. Bible Study in a home group, Foso.